Renovated 2017! Enjoy new flooring, furniture, paint and art work. Relax in your Free beach chairs March - October! 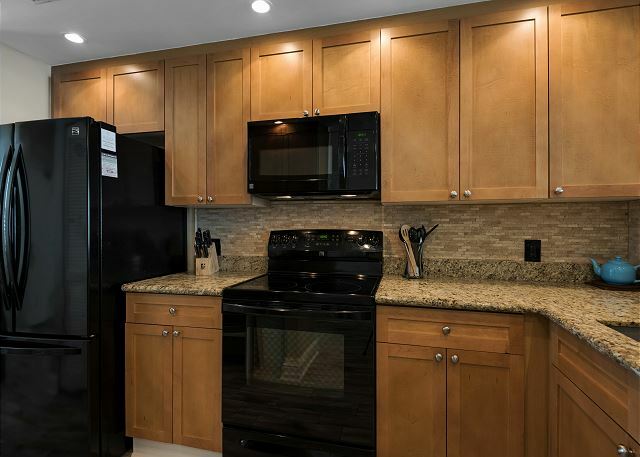 Be among the first to come and visit this totally updated condo! 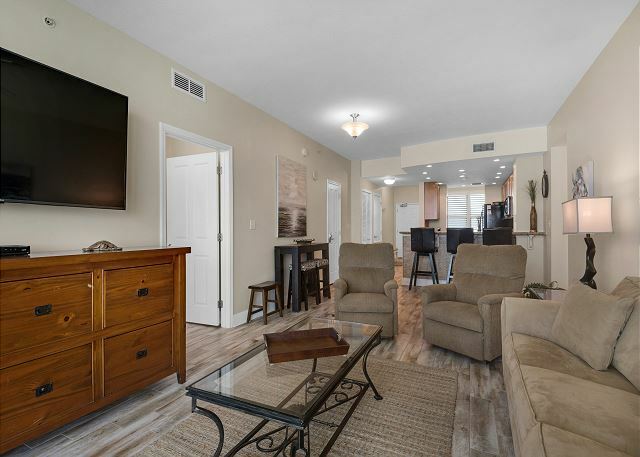 New owners have taken over and this condo has been totally redecorated from new tile flooring to all new paint and lighting. All new furniture was purchased in every room including mattresses and bedding. The kitchen has been equipped with all new dishes and accessories to make you feel as if you are at home. 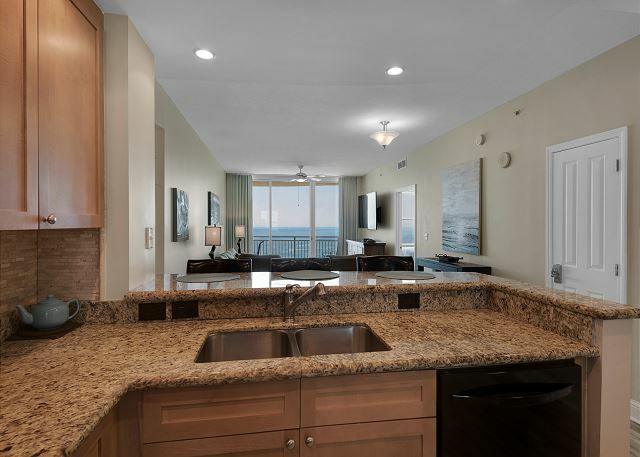 AQUA 2103 is a spacious (1,696 SQ FT.) This condo at one of the most luxurious resorts in the Panama City Beach area. 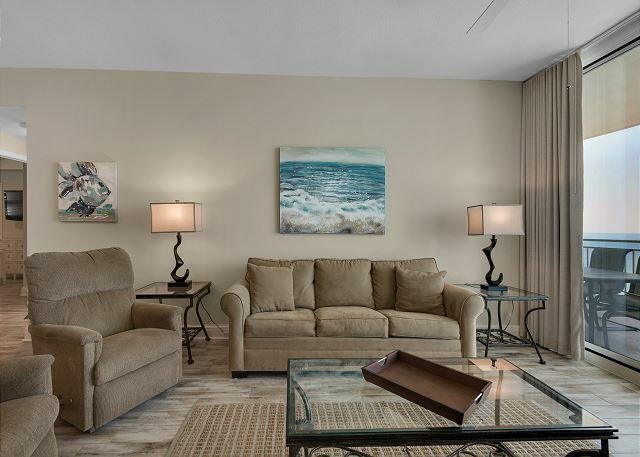 Aqua 2103 has everything you will need to create your family vacation memories. 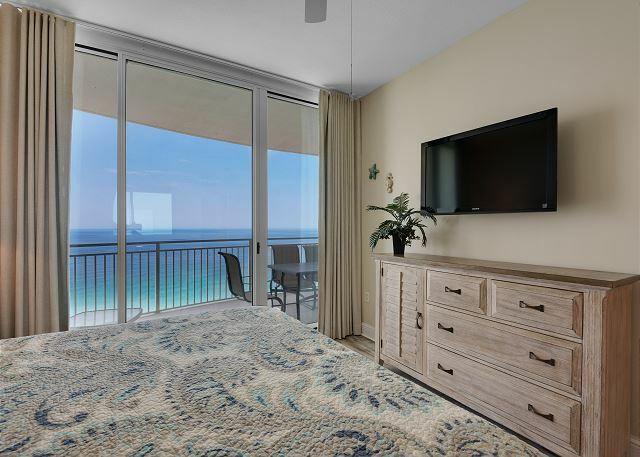 The spectacular views from the 21st floor stretches for miles across the Emerald Waters of the Gulf of Mexico. 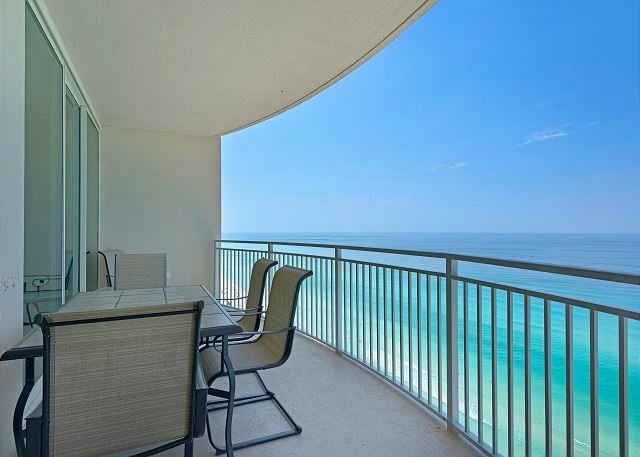 Enjoy these amazing views from one of the largest and most private balconies at AQUA. 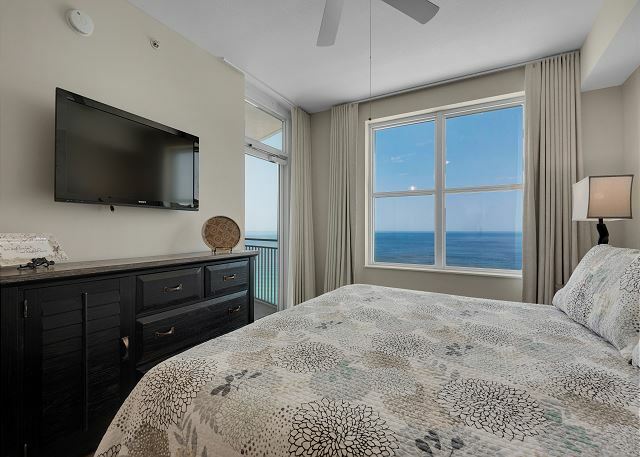 Two of the 3 bedrooms(Master and 2nd bedroom) new King size beds and mattresses and new large wall mounted TV's and a direct access to this spacious balcony and the east bedroom has ceiling to floor sliding glass doors opening to the blissful sandy beaches and surf below. 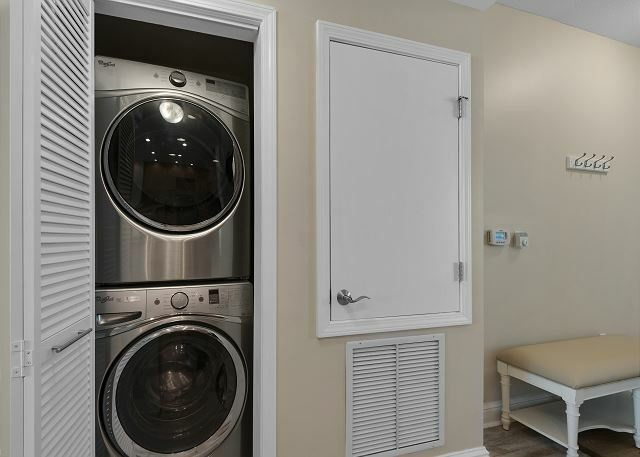 The large master bedroom has a private opening to the balcony. The Master bathroom has double sinks and stand alone glass shower. Also for your peace and quite this master bathroom has a relaxing garden tub. 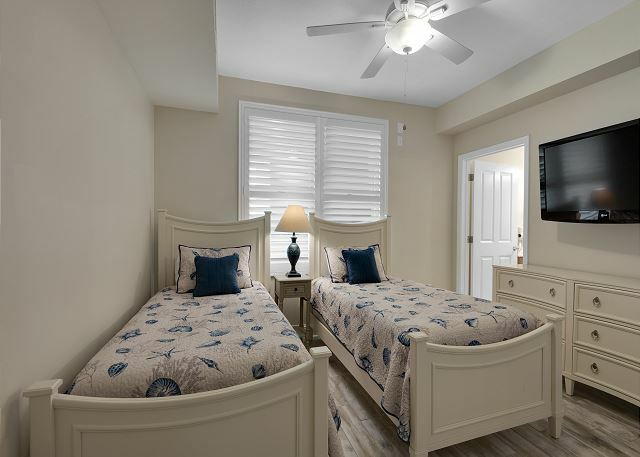 The third bedroom features new twin beds with a huge TV on the wall for your viewing pleasure. *Location, Location, from the pool to the beach and schedule your fishing expeditions, Pontoon, Jet ski rentals and Dolphin tours. 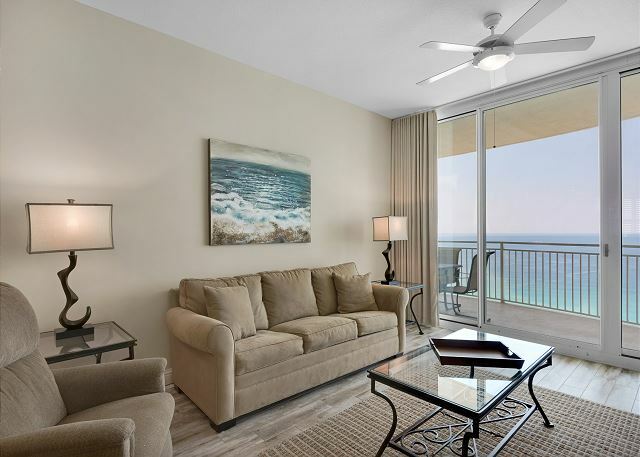 Many conveniences are within a five minute walk or drive from the resort, including all the shops and restaurants of Pier Park, Wal-Mart and Target located 2 blocks north of AQUA, and Gulf World 1 block east of AQUA. IT WAS JUST LIKE HOME! The Condo accommodated our party of eight very comfortable. We enjoyed all the amenities in the Condo.